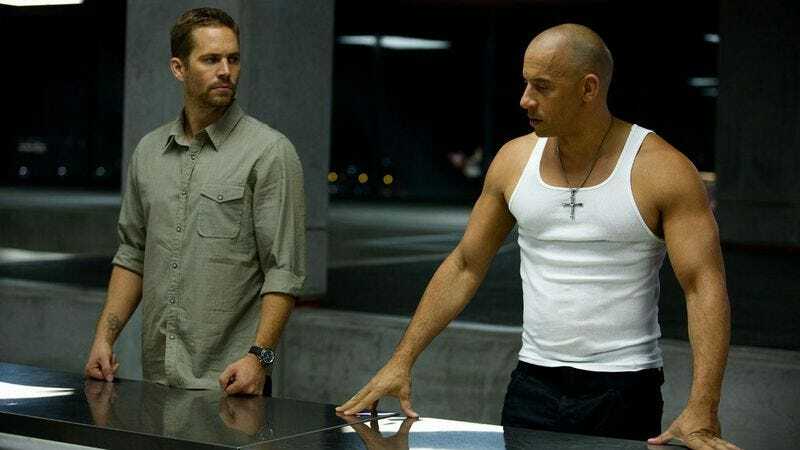 Caption Contest: What are the brainiacs from Fast & Furious 6 talking about? In the interest of science, creativity, and the science of creativity, we're posting a film or TV still every week, and we're going to ask you to come up with a clever caption. Whoever's caption gets the most likes will win some kind of nonsense prize from The A.V. Club office, most likely a Simpsons toy of some sort. The winner of the last contest, featuring the handsome men of Star Trek Into Darkness, was TheMagicRat, who offered: "I told you - We'll release you as soon as you tell us your real name." "Benedict Cumberbatch!" "HOW DUMB DO YOU THINK I AM?!" Well done, Mr. Rat. "I don't know, man, it seems level to me."